About Jeffrey A. Klein M.D. procedures in Newport Beach and Orange County, California. Dr. Klein is the Inventor of KleinLipo, the safest form of liposuction surgery, providing fast recovery and excellent cosmetic results. As the creator on tumescent Liposuction, Dr. Klein offers the latest technology in the removal of fat. KleinLipo serves patients from not only Orange County, but from all over the world. Dr. Klein’s innovation in Liposuction surgery, combined with his unparalleled safety record set KleinLipo apart from the rest. Dr. Klein believes the safest form of liposuction is tumescent liposuction totally by local anesthesia. 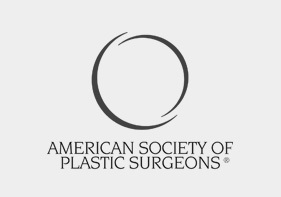 Maximal Liposuction Safety was the incentive that led Dr. Klein to invent tumescent liposuction totally by local anesthesia. Every aspect of his technique has been motivated by the goal of achieving maximal safety, comfort, and aesthetic results. 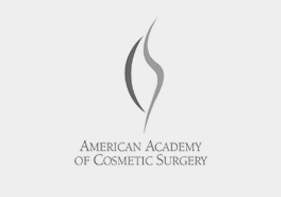 In fact the tumescent technique is now the world-wide standard of care for patient safety during liposuction surgery. Newport Beach Abdomen Liposuction by Dr. Jeffrey A. Klein M.D. Newport Beach Tumescent Liposuction by Dr. Jeffrey A. Klein M.D. Tumescent liposuction totally by local anesthesia eliminates the dangers of general anesthesia. Virtually all deaths associated with liposuction have been associated with the use of general anesthesia. Less pain is encountered with tumescent liposuction totally by local anesthesia than with liposuction under general anesthesia. Local anesthesia avoids the unpleasant side-effects of general anesthesia. Local anesthesia persists many hours after the surgery, thereby avoiding the need for dangerous narcotic analgesics; patients only require Tylenol to treat post-operative discomfort. Patients who have liposuction under general anesthesia often require the use of narcotics for post-operative pain. Quicker post-operative recovery has resulted from Dr Klein’s recent research directed at improving patient safety and comfort during the healing phase after liposuction. Wearing elastic compression garments until all drainage has ceased. This technique produces decreased post-operative swelling, bruising, and tenderness. Healing occurs more rapidly and elastic compression garments are usually worn for only 3 to 6 days. 1) Klein, JA. Optimal Statistical Techniques in Estimating Patient Compliance. Preventive Med, 1979. 2) Klein JA, Cole G, Barr RJ, Bartlow G, Fulwider C. Paraffinoma of the Scalp, Arch Derm 121:382-385,1985. 3) Klein JA, Barr RJ. Verrucous Hemangioma, J Pediat Derm, 2:191-193,1985. 4) McCullough JL, Peckham P, Klein J, Weinstein GD, Jenkins JJ. Regulation of epidermal proliferation in mouse epidermis by combination of difluoromethyl ornithine (DFMO) and Methylglyoxal Bis(guanylhydrazone) (MGBG), J Invest Derm 85:518-521,1985. 5) Klein JA, McCullough JL, Weinstein GD. Topical tritiated thymidine for epidermal growth fraction determination. J Invest Derm 86:406-409,1986. 6) Klein JA, Barr RA. Diffuse lipomatosis and tuberous sclerosis. Arch Derm 122:1298-1302,1986. 7) Klein JA. The tumescent technique for liposuction surgery. J Am Acad Cosmetic Surg 4:263-267,1987. 8) Klein JA. Anesthesia for liposuction in dermatologic surgery. J Derm Surg Oncol 14:1124-1132,1988. 9) Stewart JH, Cole GW, Klein JA. Neutralized lidocaine with epinephrine for local anesthesia. J Dermatol Surg Oncol 15:1081-1083,1989. 10) Klein JA. Tumescent technique for regional anesthesia permits lidocaine doses of 35 mg/kg for liposuction. J Derm Surg Oncol 16:248-263,1990. 11) Klein JA, Barr RJ. Bannayan-Zonana Syndrome Associated with Lymphangiomyomatous lesions. J Pediat Dermatol 7:48-53, 1990. 12) Klein JA. The Tumescent Technique: Anesthesia and Modified Liposuction Technique. Dermatol Clinics 8:425-437,1990. 13) Stewart JH, Chen SE, Cole GW, Klein JA. Neutralized lidocaine with epinephrine for local anesthesia, II. J Dermatol Surg Oncol 16:842-845,1990. 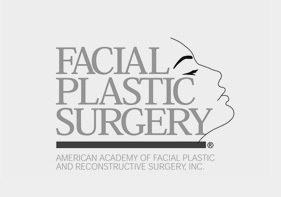 14) Klein JA, Anesthesia for dermatologic cosmetic surgery. Coleman WP III, Hanke CW, Alt TH, Asken S, editors, Cosmetic Surgery of the Skin: Principles and Techniques. Philadelphia, B. C. Decker Inc. 1991, pp 39-45. 15) Klein JA, Soins post-operatoires apres liposculpture utilisant la technique tumescente (Postoperative Care Following Liposuction by the Tumescent Technique), La Revue de Chirurgie Esthetique de Langue Francaise 17:5-8,1992. 17) Klein JA. Reply: Ethics of promoting patient safety and comity among surgical specialties. [letter] Plast Reconstr Surg 95:603-604,1995. 18) Klein JA. Establishing a Dermatologic Surgicenter, Elson M, editor, Evaluation and Treatment of the Aging Face. Springer-Verlag, publishers, New York 1995, pp 255-260. 19) Klein JA, Liposuction. Moy R, Lask G, editors, Principles and Techniques of Cutaneous Surgery. Mc Graw-Hill, New York, 1996, pp 529-542. 20) Klein JA, Tumescent liposuction and improved postoperative care using Tumescent Liposuction Garments™. Dermatol Clinics, 13:329-338, April 1995. 21) Klein JA, Tumescent Technique Chronicles: Local Anesthesia, Liposuction, and Beyond. 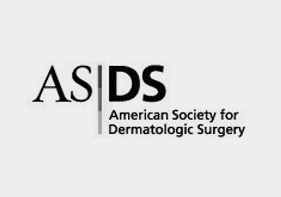 Dermatologic Surg. 21:449-457, 1995. 22) Klein JA, Epitomes, Dermatology: Tumescent technique for local anesthesia. West J Med 164:517,1996. 23) Klein JA. Tumescent liposuction with local anesthesia. Principles and Techniques of Cutaneous Surgery. Lask GP, Moy RL editors. McGraw-Hill, New York, 1996. pp 529-542. 27) Klein JA, Tumescent Liposuction, Chapter 9, in Dzubow LM, editor, Cosmetic Dermatologic Surgery, Lippincott-Raven, Philadelphia, 1998,p163-169. 28) Klein AW, Narins RS, Klein JA. Tumescent Liposuction. Fitzpatrick’s Dermatology in General Medicine, 5th edition, McGraw Hill, New York, 1999, pp2967-2969. 28) Klein, JA. Intravenous fluids and bupivacaine are contraindicated in tumescent liposuction (letter), Plastic Reconstr Surg 102:2516-2518,1998. 29) Klein JA. Anesthetic formulations of tumescent solutions. 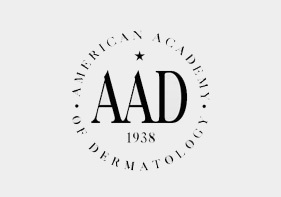 Dermatologic Clinics, 17:751-759,1999. 30) Klein JA. Post-tumescent liposuction care: open drainage and bimodal compression. Dermatologic Clinics, 17:881-889,1999. 31) Klein JA. Commentary: Fulton J. Modified Tumescent Liposuction. Dermatol Surg 25:764-766,1999. 33) Klein JA. Antibacterial effects of tumescent lidocaine. Plast Reconstr Surg. 1999 Nov;104:1934-6. 34) Klein JA, Tumescent Liposuction: Tumescent Anesthesia & Microcannular Liposuction. Mosby, St. Louis, approx 500 pages. March, 2000. 35) Klein JA. Pharmacology of Tumescent Liposuction. Ch 21. pp 443-445. In Cosmetic Surgery: An Interdisciplinary Approach, Narins RS editor, Marcel Dekker, New York, 2001. 36) Klein JA Liposuction Using Dilute Local Anesthesia: Counterpoint. Dermatol Surg 29:1146-7, 2003.